Thomas Allen Wines resides on the beautiful Moon Mountain Vineyard on Broke Road, Pokolbin. Owners Steve and Craig purchased the vineyard in 2009 and with old vines and the perfect aspect, it allows them to produce classic Hunter wine styles from this unique, iconic vineyard. 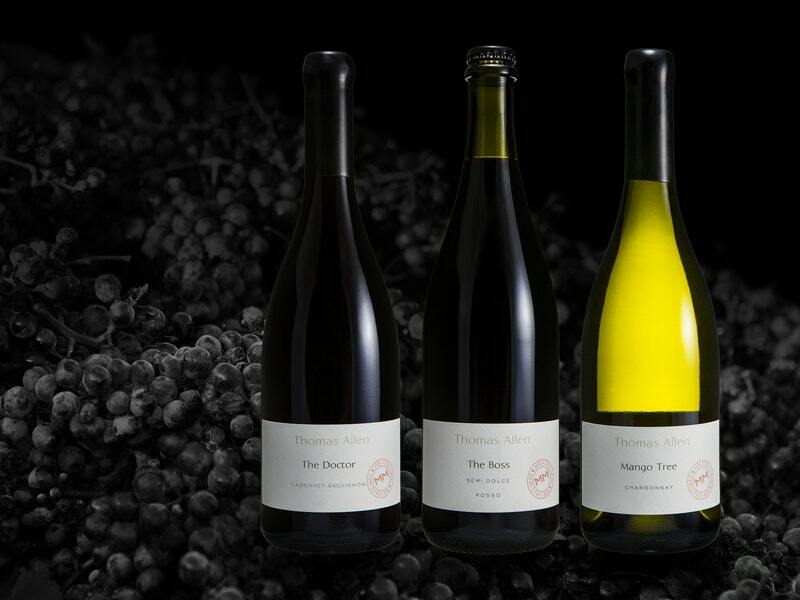 Producing early ripening, high quality, flavour intense fruit in very limited quantities, Moon Mountain Vineyard, is used in the Mango Tree Chardonnay, The Doctor Cabernet Sauvignon, Old School Shiraz Cabernet and Alasdair Shiraz. Showcasing their 2015 The Doctor Cabernet, named in honour of Dr. Alan Burgess, who planted the original vineyard in 1969, you'll not be disappointed. The wine exhibits fragrant aromas of cherries and blackcurrants with a hint of green olive and spice. The textural palate is lively and rich with velvety tannins balancing with a firm soft finish. A visit to the cellar door is a must when visiting the Hunter or you can also order online for delivery to your door!